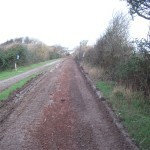 The Trail re-opened to the public yesterday. However it has taken a lot of punishment over the past 5 weeks, but as they say you can’t make an omelette without breaking eggs. 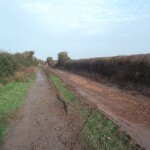 It was considered more important to protect the route with the erosion repairs. Hence although we are still on site clearing up as best we can, given the current weather conditions it is not possible to do a full tidy up and reinstatement. I therefore anticipate some negative comments from Trail users about its present condition, and this email is a ‘heads up’ in case any come to you so that you can see we have a plan. 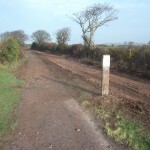 There is some money available to repair the Trail in the new year once we manage to get enough dry weather, and of course the contractor is bound to do a certain amount of making good. 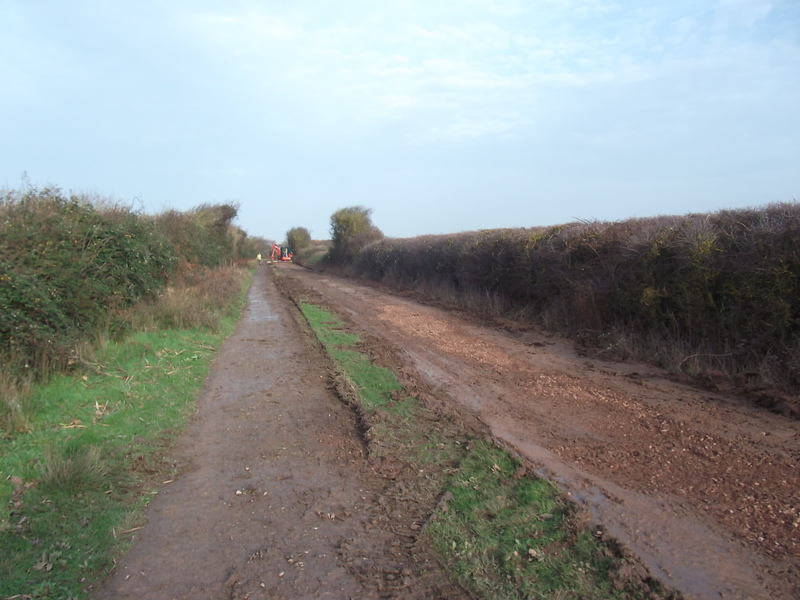 But obviously this is all weather dependent and so I am unable to give a timetable for when the reinstatement work will be done. 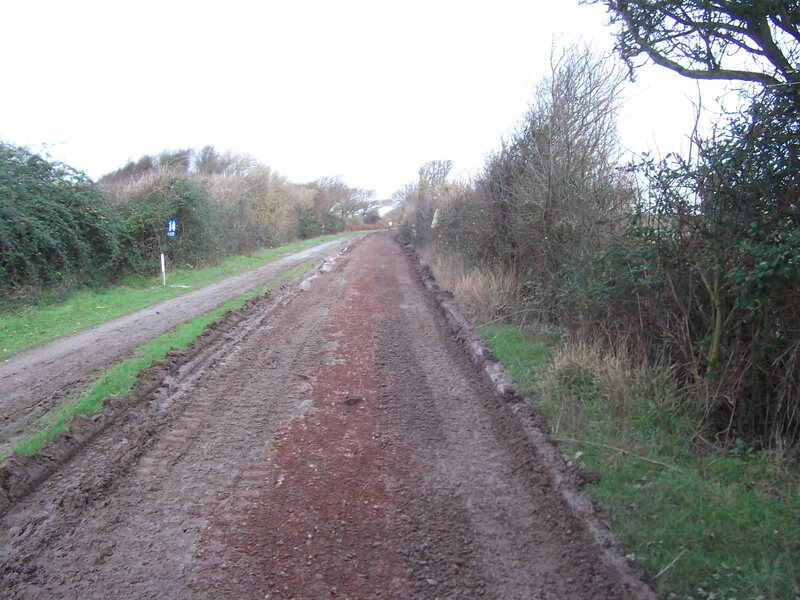 It is possible that if the weather is against us it could be Easter before the Trail is back in what many users (especially cyclists) would consider a ‘satisfactory’ condition. But it is safe to use. 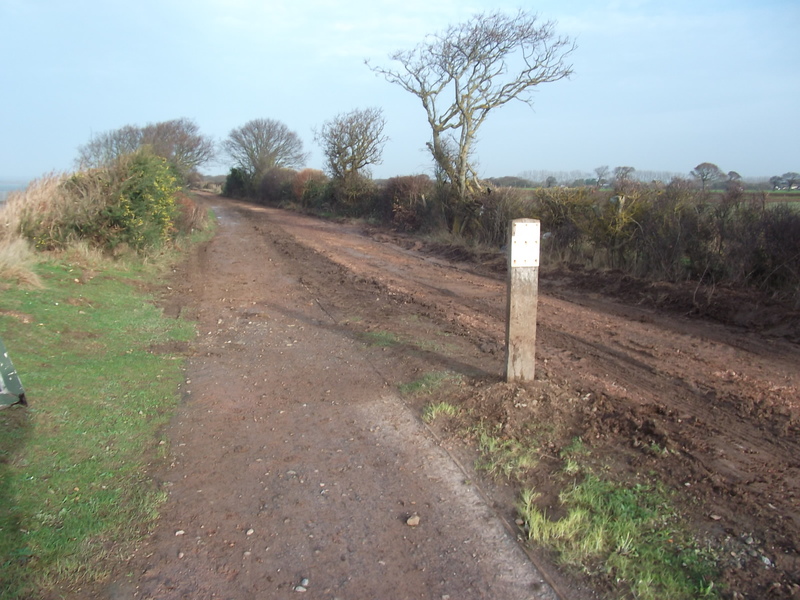 My earlier concern that the Trail would structurally fail has not been borne by the evidence, the Trail has held up well with very few ‘new’ problem areas, it’s just so muddy that if we try to take any more of the mud up we will end up damaging the Trail surface. I attach a couple of photos from yesterday to illustrate the point. These were taken before the Trail was rolled, but the rain set in at 3.30 so until I go down again I’m not sure how much they were able to do. Hope it doesn’t cut up too much before it gets a proper top surface. Without sound too negative, as a daily user it is disappointing that expected weather conditions and damage plant would cause were not seemingly considered in planning the work. Whilst it is nice to note that ‘some’ money is available, yet again the Billy is seen as a (summer) attraction rather than a mechanism for getting traffic off Hayling’s roads. This is also underlined by moving regular users and in particular commuters onto the main road at the most dangerous time of the year. When will we see a real effort to get the trail into the state of a properly surfaced route; I’m not advocating macadam surface necessarily. Next PostNext Congratulations to Peter McQuade MBE!